If there’s one thing that the human race collectively takes for granted, it’s probably the fact that most of us don’t impulsively pee on our carpets whenever we have the chance. Such a simple thing! But if you’ve ever owned pets, the thought has probably crossed your mind more than once. It’s frustrating when cats and dogs don’t seem to get the hint that we don’t like ammonia-rich yellow juices on our carpets, and it’s made worse by the fact that it’s a pain to clean up. In other words, while it’s nice to be able to pristinely clean up the messes of pet pee, it’s even better if you’re able to come up with a solution that stops the phenomenon for good. Here are some things you need to know about pet pee, and some ways that you might be able to prevent it from happening more! While dog and cat urine messes are an annoyance, some pet owners find solace in the fact that cleaning them up isn’t that big of a deal. Most cats and medium- to small-sized dogs don’t leave very sizable puddles, and the yellow hue is much less offensive than something like Kool-Aid, which would be almost impossible to clean up without leaving some kind of stain. In general, with enough cleaner, hot water, and scrubbing, you can get that yellow stain out of your carpet. But not so fast, captain — the job’s not done. Unfortunately, humans have tragically feeble senses, and even if the stain looks like it’s gone, you can bet that it’s still leaving something behind. As it turns out, dog noses are about ten billion trillion times more powerful than ours, and they’re quick to find any spot on the floor that has even the slightest trace of animal smell. This is why a lot of experienced pet owners use hydrogen peroxide or vinegar and baking soda to clean these stains — these chemicals help to eliminate the unseen stuff that’s left behind. Look, we know our stuff when it comes to cleaning, and when it comes down to it, it’s just like a lot of other industries — there are many companies who peddle subpar products at a premium price when, in reality, they’re often no better than their cheaper alternatives. 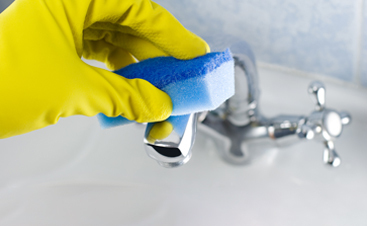 With cleaning supplies, you’ll often find products at the dollar store that are just as effective as the most expensive brands! That’s why you may be skeptical of cleaning products meant for pets. Much like weddings, companies love to overcharge when the word “pet” is associated with their otherwise normal product. A lot of people are duped into believing that the product must be better if it’s meant for pets and end up paying more. This is definitely a thing, but when it comes to urine-removing sprays, you’re usually looking at the real deal. This brings us back to the leftover scents mentioned above — if you clean up a spill of Dr. Pepper, you’ll pretty much get rid of it completely if you scrub hard enough. But urine is rich in ammonia and other odors that are unique to pets, and you can bet these scents are left behind. Pet urine sprays are enzymatic cleaners which are specifically designed to target these leftover chemicals. Enzymatic cleaners bond to the molecules in the carpet, which forms a reaction that causes them to break down naturally. This is a major boon to urine cleanup! This is one of the great pains of a pee-happy pet. If you let them pee once, they will probably do it again. If you let them pee twice, well, that’ll set you up for a third time. And before you know it, your puppy or kitty will be content to pee in the same area over and over and over. This is because pets are enticed to pee in spots that they’re familiar with. Remember those invisible scents we talked about? Yeah, that’s what’s causing your puppy to pee on your carpet all the time. This is a strong argument as to why it’s so essential to use cleaners such as vinegar or enzymatic cleaners to break up the smell. If there’s even a small trace of the urine left behind, they will probably be tempted in some measure to keep going there. So what do you do if your pet is addicted to peeing on your carpet? Well, the most obvious solution is training. While we are cleaning experts and not dog trainers, there are some tricks that we’ve been told work pretty well. First off, you may consider employing a grass pee pad for some time. If your pet has the habit of peeing in the same spots, you can place a fairly large grass pee pad there to cover them up. This will deny the familiar carpet to your puppy, but they will still have a grassy patch. If you’ve been taking them to pee outside (as you should), they will likely be tempted by the soft green texture. If they pee there a few times, they will start to build up a scent on the pad instead of your floor. This allows you to move it gradually! Many pet owners have had success gradually moving their grass pee pad until it ends up outside entirely. It will also be a boon for you to look up traditional training methods which will encourage your dog to exclusively do their business outside. We would encourage you to turn to professional dog trainers for this instead of our humble little blog. Like we said, we’re carpet cleaners, not dog trainers! The problem that a lot of dog owners have is that they’ve let their dog pee on their carpet one too many times, and it’s happened so frequently that the dog has no idea that they’re doing anything wrong. 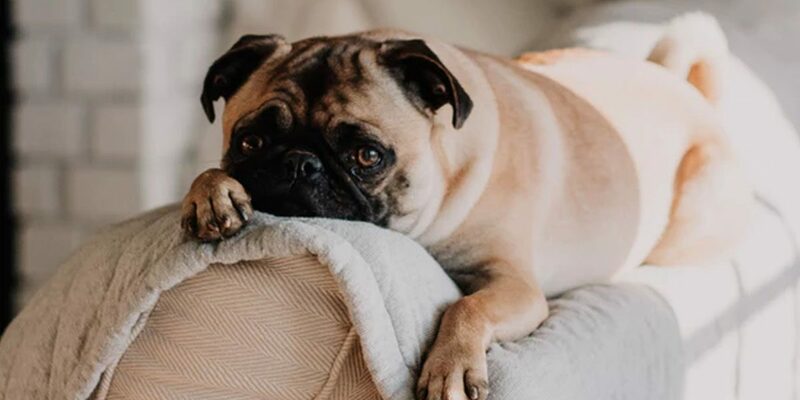 This can happen easier than you’d think — dogs quite often tinkle right when you take your eyes off them, and many pee stains aren’t identified until an hour or two later. This is frustrating for their owners — even the most vigilant dog owners will sometimes miss a urination, so there’s no way of knowing how deeply the dog’s scent is embedded into the carpet. If you call the professionals for full-service carpet cleaning, you can bet that we’ll eradicate the scents that your puppy has left behind. We’ve dealt with all kinds of pet accidents, and we have the cleaning supplies that are necessary to treat ammonia-rich urine. By allowing Clean Pro to clean the entire floor of your Gloucester home, it allows you to start fresh in your training. With no scents left behind and a renewed commitment to training, it could be the first step towards fixing your pee problem for good. 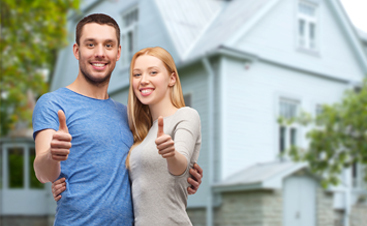 We serve people in Gloucester and the surrounding areas, such as Essex, Manchester, The North Shore, greater Boston, and more. 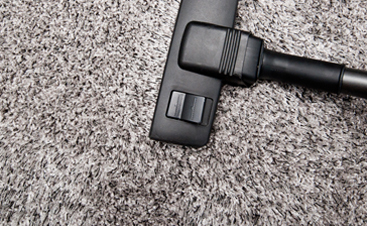 Contact us today for professional carpet cleaning services!